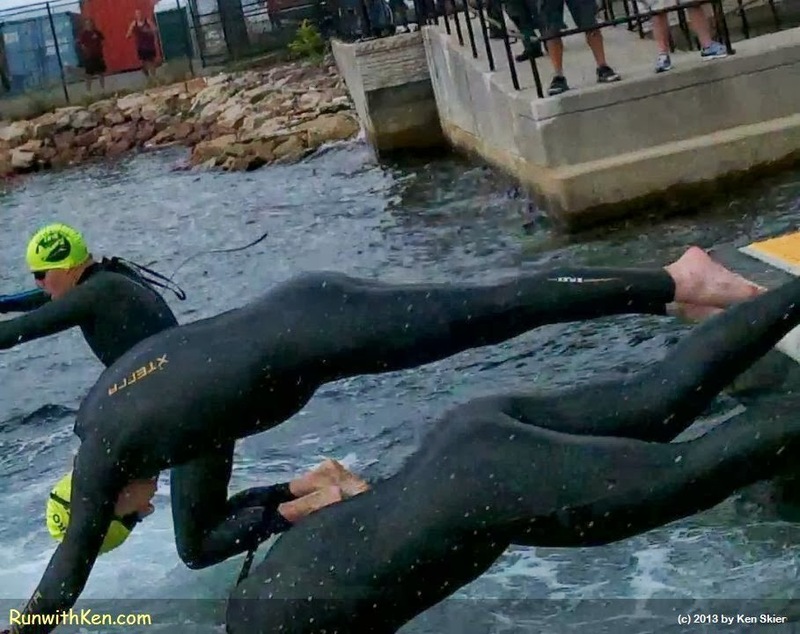 Open water swimmers in full wetsuits DIVE into Boston Harbor! At the 1-mile Sharkfest Swim across Boston Harbor. I took this photo as I was launching myself into the harbor. I wore no wetsuit. Just a pair of nylon swim trunks. Water temp was 60 degrees. Mighty cold!